If there is one thing that Mrs. B. regrets most in her life, it is the day she walked into the Royal Heritage Church, Mafoluku, Lagos, for the first time. 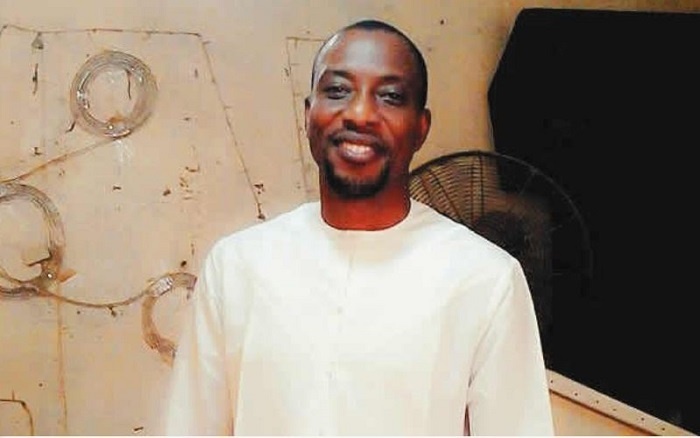 Shortly after that day, with her teenage daughter, she approached the pastor of the church, Tunde Daniel, a man in his 50s with two wives, and sought his spiritual help. Mrs. B. said that the pastor had told her he could make a super model out of her child. But Mrs. B. said the moment she approached the pastor for help was the day she lost control of her daughter, who is now 16 years old. For more than a year later, Mrs. B said she has been struggling to get a grip of her life and win her daughter back from the hold of Pastor Daniel. The pastor and the minor swiftly engaged in relationship that allegedly snowballed into a sexual slavery. According to Mrs. B, it got to a point that if she gives her daughter an instruction, her obedience would depend on whether the pastor agreed or not. The girl would occasionally visit the married pastor at his premises at 8, Owolabi Street, Mafoluku, Lagos. Mrs. B. warned her daughter to stay away from the pastor but all she got in response was the rebuff. According to her, Tunde continued to meet with the girl in secret. Mrs. B. explained that unknown to her, the sexual abuse her daughter allegedly suffered in the hands of the pastor started in 2016 when the girl was still 15. “She said that anytime she went to school, Pastor Daniel would pick her up there and take her to a hotel. “One day in late February, 2017, I got a call from a hospital that said my daughter was in a critical condition. I did not know how she ended up in the hospital. At that time, I had lost control over her totally. “When I got there, I was told that she had appendicitis and that an emergency surgery must be conducted to save her life. We were asked to look for N368,000. I called her father who was abroad, to inform him of the case and we quickly paid the money. “It was when I saw the surgical scar that I became alarmed and I started petting her and told her to tell me what was going on. That was when she said that the pastor had impregnated her and that what I thought was the removal of her appendicitis was indeed abortion. The hospital in question is High Rocks Hospital located on 8, Afariogun Street, Charity Area, Oshodi-Isolo. However, the apprehensive Mrs. B., who could no longer handle the matter on her own, contacted the Child Protection Network in Oshodi, who took over the case. The spokesperson for the Lagos State Police Command, Olarinde Famous-Cole, who confirmed that Daniel is still in custody and being quizzed, said the doctor would be invited. Bounce Sports EP. 3 - Why Are EPL Clubs Firing Managers?